William Alan Dailey, the fourth of five children of the late Malcolm & Minnie Rose Dailey is a life-long resident of Selma and Dallas County, Alabama. He is a graduate of Selma High School and Wallace Community College where he received an associate's degree in Business Management. Alan has been with the local jewelry establishment since 1973. He has obtained various degrees not only in the jewelry field, but also in the medical field. Alan is currently a Registered Jeweler since 1986, Emergency Medical Technician since 1978, and Volunteer Firefighter since 1975. Alan has served on the Chamber of Commerce Board as Retail Vice President, President of Alabama Jewelers Association, Kiwanis Board, Southwest Alabama Emergency Medical Service System Chairman, Haynes Ambulance assistant manager, United Way Retail Chairman, Downtown Selma Association President, and also received the honor of EMT of the Year in 1986. 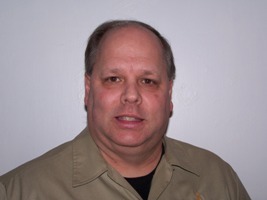 Alan served as Deputy Coroner for 11 years until his appointment as coroner by Governor Bob Riley in January, 2004. Alan was elected with no opposition in 2006 and is currently serving as Dallas County Coroner through 2011. He is an active member of the Alabama Coroner's Association, Volunteer Firefighter with the Selma-Dallas County Rescue Squad since 1975. Alan is married to Cindy Dailey of Selma and has 3 children, Will, Walter and James.